Every homeowner wants to have perfect garden grass all year round. This may seem like a difficult task, but it is fairly easy if you take the right steps. Taking care of your grass is a job that you should undertake regularly if you want to impress this Spring. With the right tools and attention, we’ll be able to make your lawn happy and healthy in time for the Spring and Summer seasons. If you want to have the greenest garden grass around then you need to start before you sow your lawn seed. While doing your last seeding preparations, you should use a suitable fertiliser. We would recommend using Vitax Growmore Fertiliser. Using this fertiliser will get your garden grass off to a great start. Get Your Weeds Under Control! 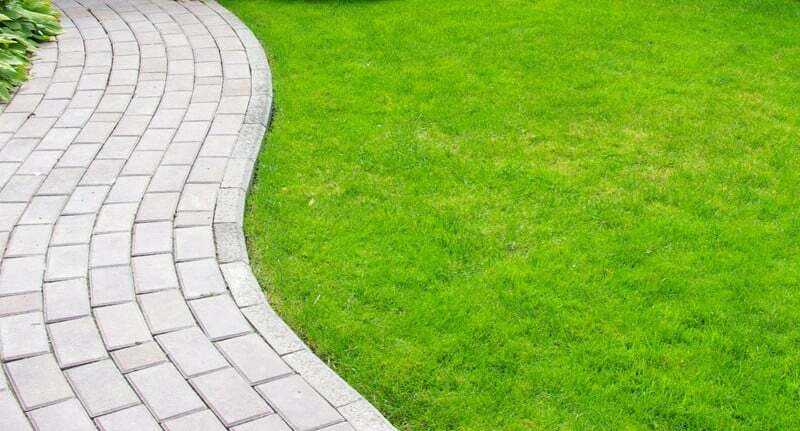 Making sure that your lawn is the greenest is no easy task. This is something that you will need to be committed to. Although the benefits of a green grass will be worth it. The garden grasses that are the greenest are the ones that are weed free. Using a weed-killer should always be part of your garden grass maintenance. We would advise you to start applying your weed repellent in the coming months. Usually between the end of April to the beginning of May. Watering your garden grass is an important part of keeping your lawn consistently green. We would recommend watering your lawn with a hosepipe every 2 to 3 days. A good tip would be to always water your lawn thoroughly and wait for it to dry before watering your lawn again. Overseeding is the process of planting new grass seed directly into your existing lawn grass. You have to make sure that you do not tear up the soil whilst doing this. If your garden grass is starting to look bare and patchy then this will be the best solution for you. Overseeding will bring your lawn back to life, improving the density of the lawn and enhancing the colour of your garden grass.